Noah loves to read. His nose is always in a book. He has to read 90 minutes a week for school, he always reads at least twice that much. It makes me so happy that he reads so much. He really likes to absorb information He is really big in to history and fiction books. He also really likes knights. I am not sure if that was inherited from me because I used to love King Arthur when I was his age. We had the opportunity to read The Knighting of Sir Kaye the Boy Knight Book 1 by Don M. Winn. It's illustrated by Dave Allred. 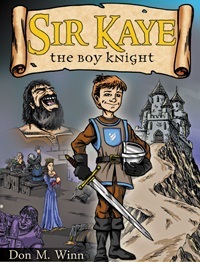 Sir Kaye Balfour is a 12 year old boy who wants to follow in his father's footsteps and be a knight. Thankfully he knows how to knit because he gets his friend Reggie and himself out of trouble by having this skill. Who knew knitting could save lives? I love how Reggie and Kaye meet after Reggie who is a wool merchant’s son decides to take a two week long vacation from his family in the woods. I was impressed that one of the major themes in this book is about chivalry. I had to explain what it was to Noah, but he thinks that it is really cool to be chivalrous. I originally got it for Noah but I started reading it with him. He loved the fact that Don had autographed it. We would cuddle up and take turns reading out loud. We love Sir Kaye. I don't want to give away too much of the story but the book is excellent. It's exciting and funny and there's even some mystery. It is a classic adventure story. We started reading it before bed but I noticed Noah wanted to start reading earlier and earlier each night. Eventually, we were reading it in the middle of the day. It was a great way to spend some time with Noah. I love that it is so well written. It doesn't contain anything inappropriate or crude. That's hard to find today in books for kids. Noah feels like he can relate to the characters and that's really important to learn empathy for them. I love watching his face light up as I read. Sometimes I feel extra silly and read in voices. He really likes that too. The book is a fairly easy read. I would recommend it for elementary school or middle school. It's a great book for anyone though. I really enjoyed it as an adult. I spent time wondering what was next. It was so hard not to peek but we wanted to share this book together. I am sure Noah will read it over and over again. The book comes in many formats: Hardcover, Softcover, eBook, and audio book. I love when books are on audio book. It's so much fun to listen to a book while you are riding in the car or traveling. E-books are so convenient too, but there's just something about holding the book and the anticipation of turning each page. 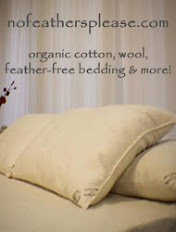 For more Information please visit the Sir Kaye website.